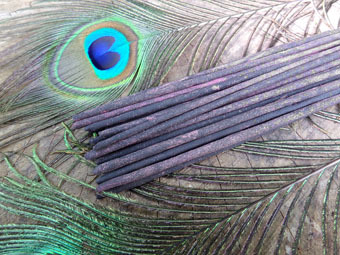 Scented only with pure flower oils and sandalwood. The town of Vrindavan in northern India is home to some of the most beautiful temples in the world. These temples have lush flower gardens grown for the decoration of these temples and their deities. 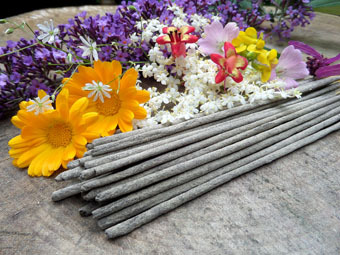 These are the flowers that make up our India Flower, along with some vanilla and sandalwood. 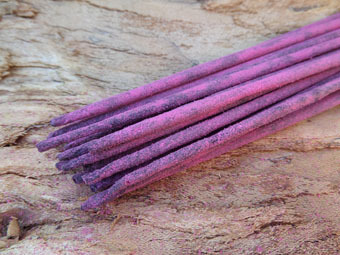 This incense is gloriously sweet and rich with fruity floral notes. 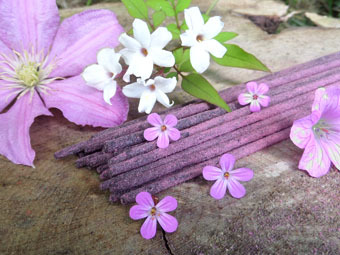 Mature and spicy sandalwood peaks out from behind this syrupy bouquet to provide some lovely depth. Burn time - Around 45 minutes. 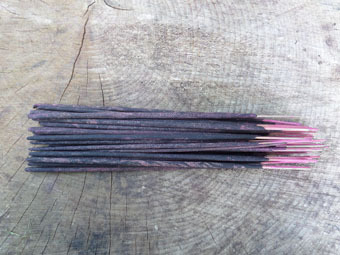 Size - 8" sticks, each stick weighs a little under 2 grams.